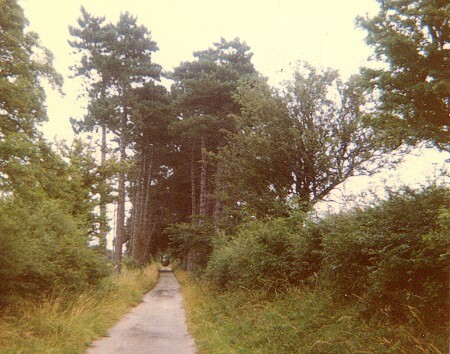 Castle drive was initially the route of a mineral railway that connected the Cupit Green collieries on the Marquis of Ormonde’s estate (now the golf course) to the Iron works at Codnor Park and also Codnor Park wharf. It was later landscaped by Frederick Channer Corfield to form a private drive to Ormonde Fields House. He planted the avenue of trees we see there today and it was re-named Castle Drive. Fig.1 Castle Drive 1980 looking towards Castle Lane. This picture was taken before the hedgerows were removed to extend the golfcourse. At the turn of the 19th Century the Cupit Green pits were operated by the newly formed Butterley Company. The company needed a method of transporting the ironstone from the pits to the Ironworks at Codnor park. 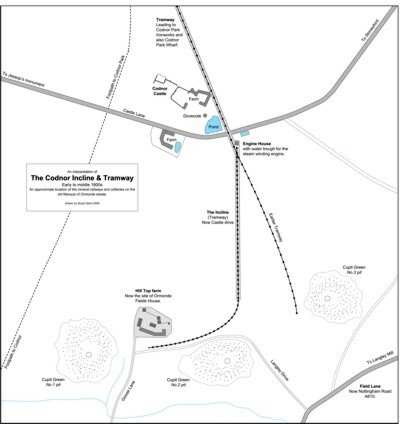 They constructed a mineral railway or tramway that led up to castle lane then past Castle Farm and down the hill to Codnor park. 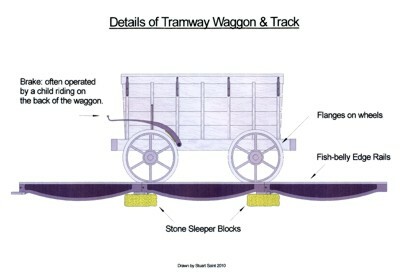 A similar tramway was constructed at Little Eaton by Benjamin Outram using plate rails but the Codnor one would differ in that it would use William Jessop’s newly invented Fish-belly edge rails. Jessop’s design used three-foot long cast iron rails that were attached to stone sleeper blocks using steel spikes driven into a wooden plug set in each block. Loaded wagons of Ironstone where hauled up the tramway incline by a steam-winding engine located in an engine house situated near castle lane. The same winding engine could also be used for controlling the decent of loaded wagons down the Codnor park side incline and also hauling empty wagons back up. Fig.2 The above illustration shows the location of the incline and Cupit Green pits in relation to roads and landmarks some of which, still exist today. The engine house was positioned at the top of the hill were it could be used to haul wagons on both inclines. the location is still visible were the castle drive gets slightly wider just before it reaches Castle Lane. Wagons were hauled to the bottom of each incline using ponies, they were then attached to the cable and the engine would haul them up the hill. The slope of the Codnor incline was approx 1:38 whilst the Codnor Park side was slightly steeper at 1:28. Fig.3 A horizontal steam-winding engine made by Appleby Bros. Of London in about 1882. 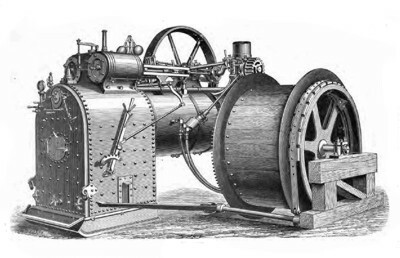 The winding engine on the Codnor incline would almost certainly be manufactured by the Butterley company and would be an earlier and simpler design, probably based on a modified Whimsy engine. Fig.4 In 1789, William Jessop developed the cast iron edge rail and flanged wheel, as shown in the above diagram. Previous to this, waggons had flat rimmed wheels like a cart, and they were guided on flanged plate rails. Jessop’s idea of moving the flange onto the wheel, which then ran on the top edge of a cast rail, revolutionised the way railways were made. All modern rail systems are based on this design. The cast rails were 3 feet long and were deeper in the middle to add strength, hence the name ‘Fish-belly edge rails’. They were cheaper to produce than the flanged plate rails and less prone to wear. 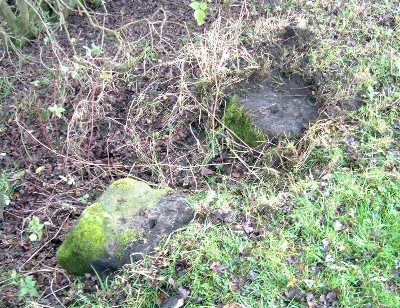 Stone sleeper blocks were also used on tramways. This was preferable to using wooden sleepers as they allowed a clear walking path for the ponies working on the track. Several waggons at a time were chained together in a train, and hauled either by the winding engine or ponies. Brakes were necessary on the waggons to control the speed on downhill section’s were the ponies were at risk of being run over. Child labour was often used to ride on the rear of the waggons to operate the brake. The Cupit Green pits were closed by 1871 but the tramway was still identified on maps as late as 1901. The following paragraph is from Joseph Millott Severn's book "My Village" and he describes the working of the incline when he was a boy. Some of the later generations, seeing the long straight road, which was called the Incline, running up from No. 3 pit, and crossing over the road near the castle and down the other side, traces of which may still be seen, may wonder for what purpose it could have been constructed. It was a busy concern when I was a boy. At the top was an engine room, and around the big drums were strong wire ropes, which were attached to ordinary railway trucks, ganged with horses from Codnor Park ironworks to the bottom of the castle side of the incline, when they were drawn up by the engine and let down to the three pits, all of which were ironstone mines. Here the iron ore was loaded into trucks, having been sufficiently exposed on the pit hills for the soft bind to separate from the iron ore, which usually took a year or two. It was then taken to the furnaces for rendering into the first process of pig iron. Frederick Channer Corfield removed all signs of the pit hills and tramways during the1890s, however evidence can still be found if you look hard enough. If you walk behind castle Farm you will see a hedgerow that runs diagonally down the hill towards Codnor Park, this marks the route of the old tramway. Searching in the hedge reveals stone sleeper blocks and broken edge rails. 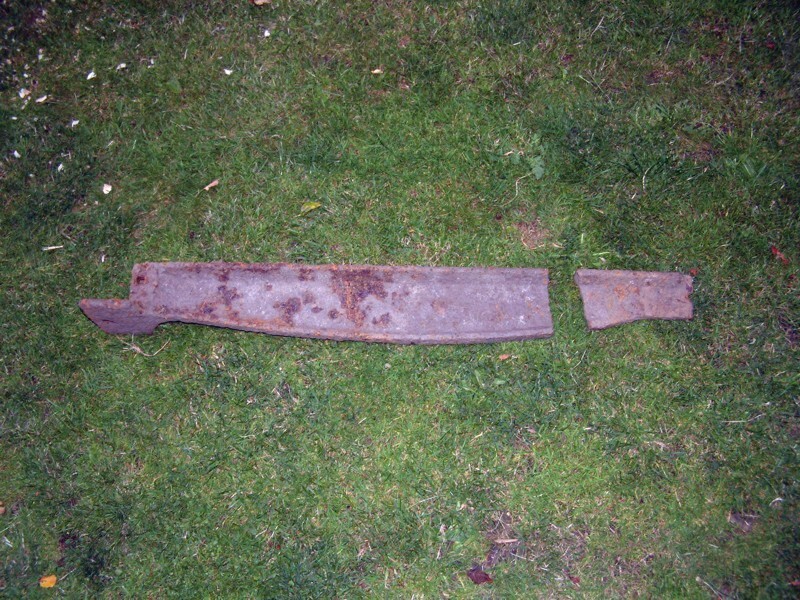 over Outrams plate rail, it wasn’t without its problems. sleeper blocks. Later examples had the cradle cast separately like modern rail tracks. 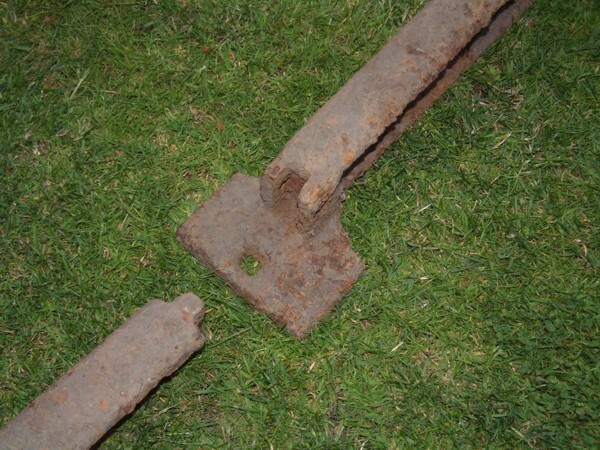 The edge rails used on the Codnor incline are obviously very early examples. Fig.7 Stone sleeper blocks still in place, note the location hole for securing the edge rails. More sleeper blocks can be found displaced in the hedge bottom.